Do you love a good Blackjack game? 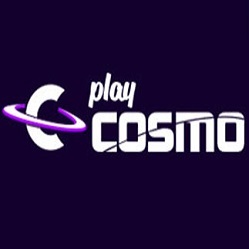 PlayCosmo offers you the chance to play with a boost. Create an account today, make a deposit, and get your hands a 200% up to £200 bonus to play any Blackjack game you want. In addition, you also get 50 spins on the very popular Starburst slot machine. In order to get these, you have to register and make a first deposit. Your payment has to be of minimum £10 to get the extra cash and minimum £20 to also get the spins. For the welcome bonus, you have to use the WELCOME200 code on your first deposit and for the spins the WELCOMESPINS code on either the first or second deposit. The Starburst spins have no wagering requirements so all the winnings are yours to keep. However, the welcome bonus credited to you and the deposit you’ve made must be wagered 40 times before withdrawing winnings from the offer. You can win a maximum of £1000 from this promotion.